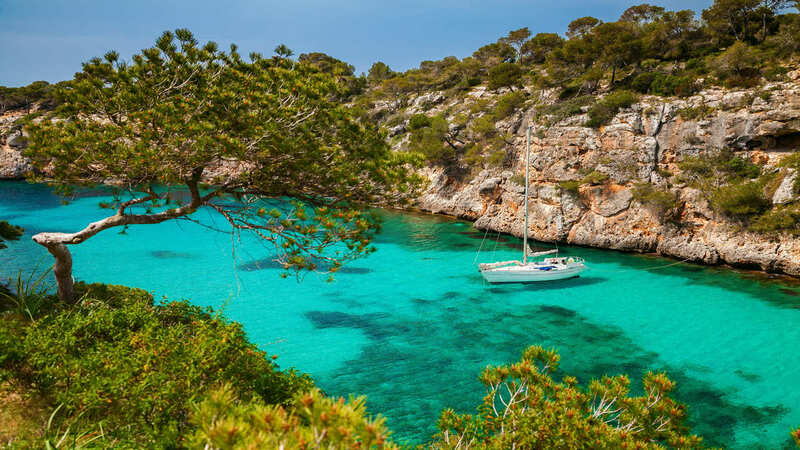 One of the greatest pleasures while sailing around the Balearic Islands is being able to explore hidden spots that cannot be reached on land. 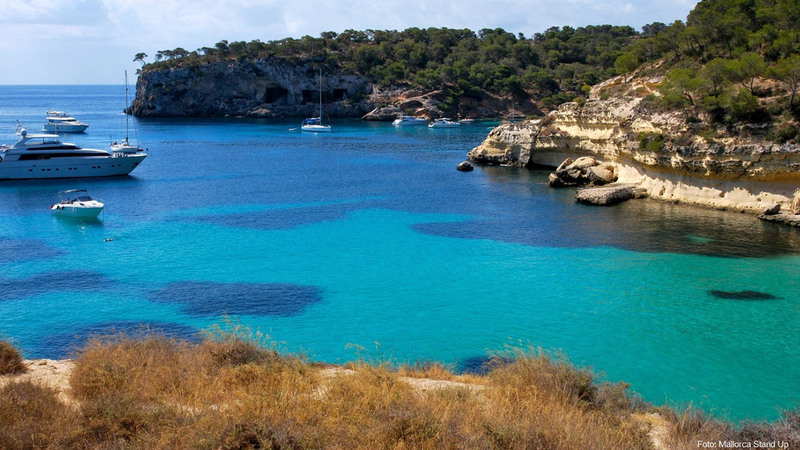 Is one of the prettiest coves in Majorca that presents an unspoilt setting as it is located in the Mondragó Nature Reserve. This spot is perfect for anchoring above a sandy sea bed and with a maximum depth of 6 metres exposed to east-southeasterly winds. Is a wonderful cove surrounded by walls of rock reaching 30 m in height, that owes its name to the pine trees around it and to the torrent that flows into it. To anchor, it is recommended that you enter through the central part of the cove to avoid three large stones to the port side, and be mindful of the south wind as this can make exiting difficult. Originally called Portals Vells II, has had this name since a film was made there in 1967 with Michael Caine and Anthony Quinn. 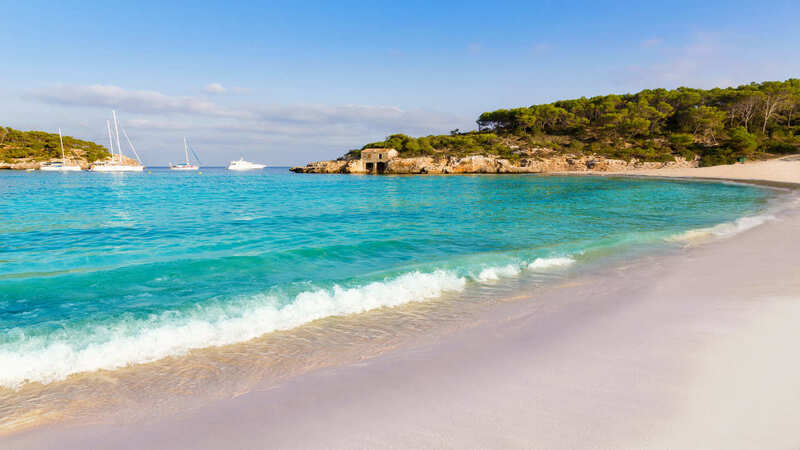 This is one of the stunning beaches situated between the headlands of Es Xisclet and S’Estaca and offers optimal conditions for anchoring, with a sandy sea bed, seaweed at between 4 and 5 metres depth and east-southeasterly winds. 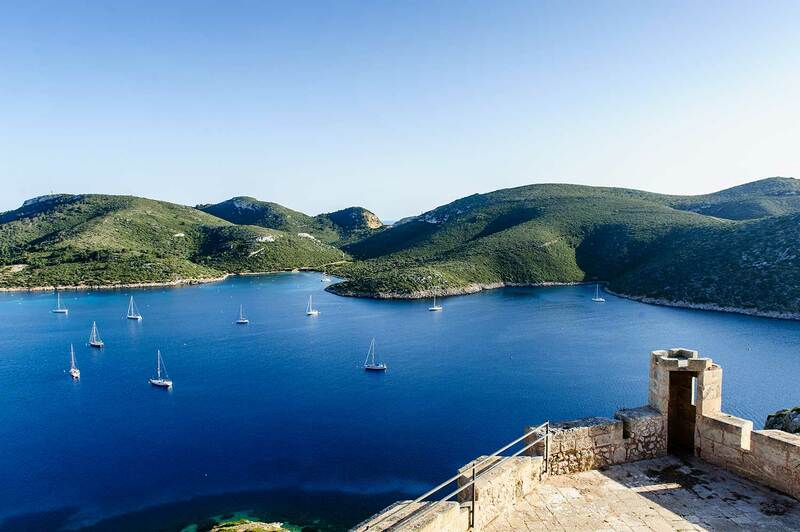 Is located in a natural inlet, at the foot of Sa Talaia Des Camp des Llamp, spectacular 300 m-high cliffs. It is ideal for anchoring, remembering that the southerly, southeasterly and westerly winds blow moderately. The sea bed of sand, shingle and rock offers 5 metres depth. A little more than an hour’s sail from Majorca and ten miles from La Colonia de Sant Jordi (Ses Salines) is the Archipelago of Cabrera, declared a Maritime-Terrestrial National Park on 29th April 1991 through Law 14/1991, for being the home to colonies of marine birds and native species, along with one of the best conserved sea beds on the Majorcan coastline. This Park constitutes an ecosystem that is vital for flora and fauna. There are more than 450 plant species here and it is a strategic stopover point on the migratory route of more than 150 species of bird. Frequent visitors to the archipelago are Audouin's Gull (Larus audouinii) and Eleonora's Falcon (Falco eleonorae). The sea beds also form an important part of the Park, with more than 200 species of fish and numerous native invertebrates. 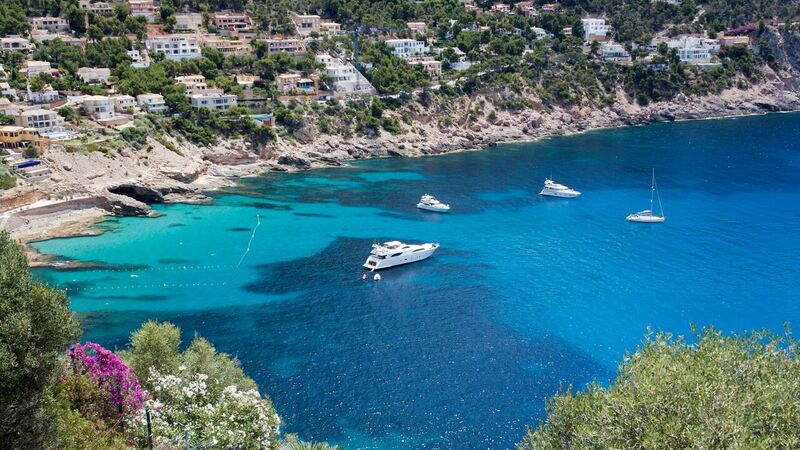 • It is possible to stay overnight in the bay, mooring on the buoys that are specially there for this purpose. • A maximum of 50 boats per day are permitted (two nights in July and August and seven nights during the rest of the year). • The permitted times for mooring on the buoys are from 6 pm on the first day to 5 pm on the last day of the booking. • Rates will depend on the length of the boat, with 35 m being the maximum permitted. • Requests can be made online, by phone or by email. It is important to bear in mind the type of sea bed at the beach or bay, the length of the chain, and also the winds and currents in that particular spot, plus the rules and regulations governing it. 1. Unrestricted Anchorage: on beaches and bays providing there is a zone of sand, heeding safety regulations and preventing the anchor and chain from damaging the Posidonia. Protected anchorage zones: Cabrera, Sa Dragonera, Cala Blava, Portopetro, Punta de L’Avançada and Cala d’Or. • Do not anchor above Posidonia. Apart from being prohibited, the anchor will not hold. • Signal that you are anchored with a black sphere positioned on the bow, or all-round lights on the boat at night. • Once anchored, keep an eye on the boat. The currents and winds may cause the anchor to drag. • Always watch for any movements and be vigilant of the swinging of the boat at anchor, especially in anchorage zones where there are other boats. • If you want to anchor at night an incredible experience is assured, but make sure you are well-informed beforehand on the weather conditions and wind direction. • In the event of a storm warning, you should seek a safe mooring until the weather report advises sailing once again.